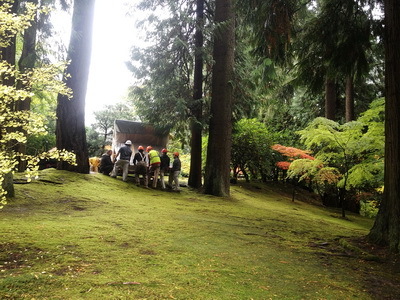 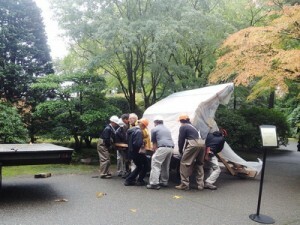 Late last year we were asked to replace a gate in the “Natural Garden” area of the Portland Japanese Garden. 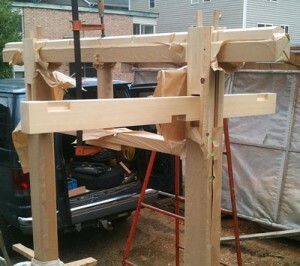 The original which had two unequal width doors had deteriorated. 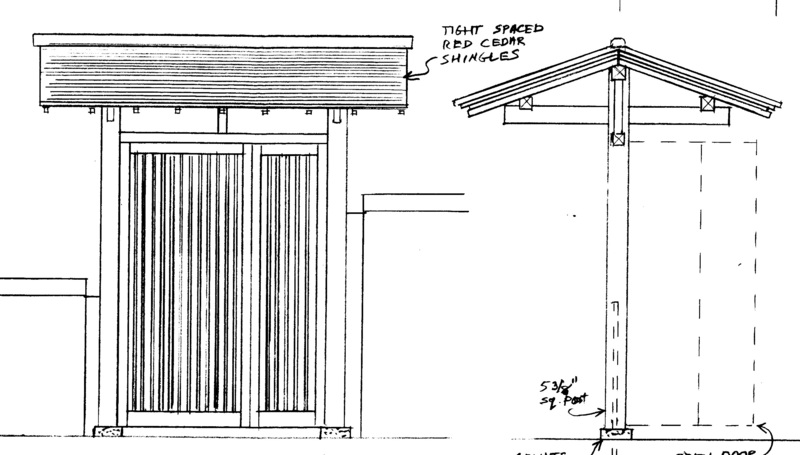 The new gate maintains the door configuration but changes proportions and construction methods to more closely conform to Japanese traditions. 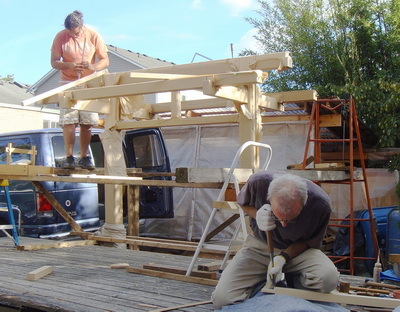 The materials we used were mostly Port Orford Cedar. 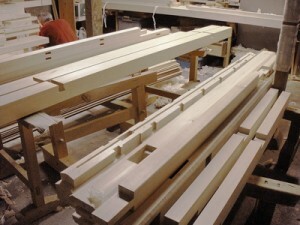 In standard Japanese fashion all of the components were custom milled and cutout in the shop environment. For this project we chose to go further and completely finish building the gate at our facility, then transport it whole to the garden. 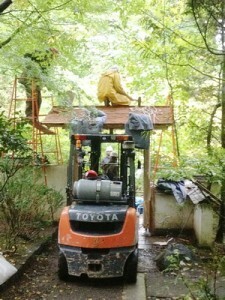 With the generous help of the garden staff the finished gate is carefully unloaded and wheeled along the narrow paths. With great care the gate is moved down a delicate moss covered slope. Finally in place the Gate is lifted and set on the awaiting foundation.